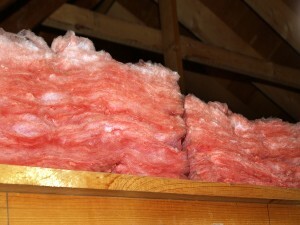 For attic insulation services you can trust in Fort Worth, TX, turn to the experts at 31-W Insulation. We’ve installed insulation and provided our customers with various other home improvement services since 1972, which means you can be confident that we will get the job done right. Because we’ve been in the insulation business for so many years, we have a wealth of knowledge about what products will work best for you. For example, we will come to your home and make recommendations for products that will suit your needs based on the structure of your house, your energy efficiency requirements, and your budgetary guidelines. Regardless of the type of attic insulation you choose for your home, you can rest assured that the professionals at 31-W Insulation will provide you with exceptional insulation services and will do everything possible to ensure that you are 100 percent satisfied with your insulation project. Contact us today for more information about the numerous benefits of choosing the experienced professionals at 31-W Insulation to install attic insulation in your Fort Worth, Texas, home. We will gladly provide a free estimate for our installation services, as well as any other home improvement service that we offer.